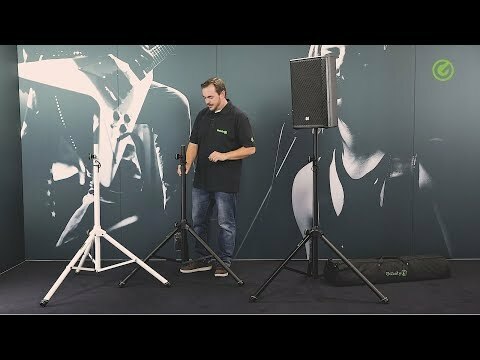 Product Overview The SP 5211 is a classic tripod speaker stand made of strong but lightweight aluminium tubing with black powder coating. It has a 50 kg load capacity and a maximum height of 192 cm. The redesigned, extremely durable mounting of the support feet is made of aluminium pressure die-casting. The steel cuff of the height adjustment is virtually indestructible and ensures additional stability. A safety stud locks the 35 cm, strong extension tube.